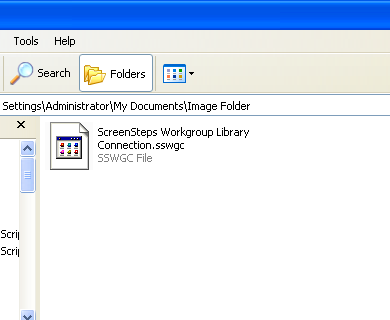 In order to connect to a ScreenSteps Workgroup library an author must have access to a connection file. This lesson will show you how to export a connection file that contains a specific author's credentials. This saves them the hassle of entering their login and password information when connecting to the workgroup library the first time. If you want to create a connection file that can be sent out to any author please see this lesson. 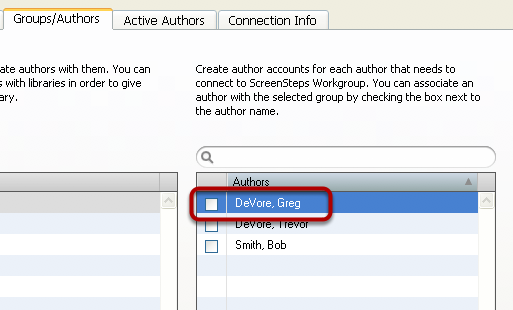 From the Authors tab locate the author you would like to export a connection file for. 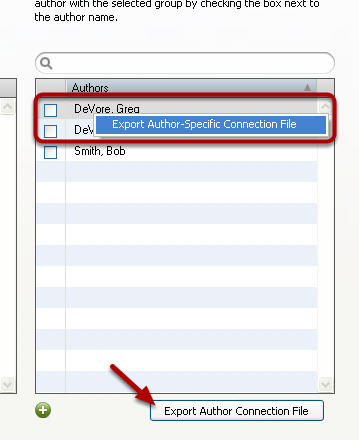 Right-click on the author and select Export Author-Specific Connect File from the contextual menu. 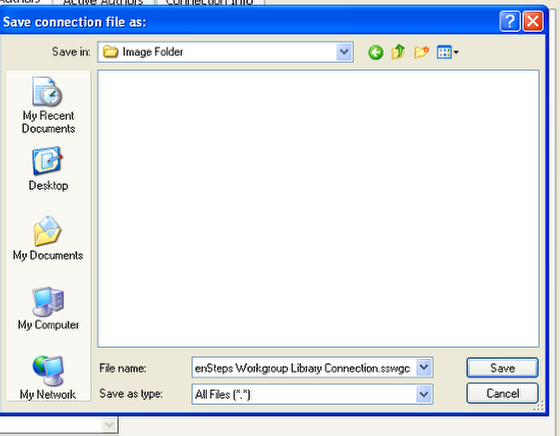 Alternatively you can click on the Export Author Connection File button. A connection file has now been created that you can send out to the author.